Gauri Lankesh's murder still occupies public space but the grief of those closest to her is private and intense. 'Freedom of Expression Meet' was organised on the first death anniversary of Gauri Lankesh, in Bengaluru. It has been one year since Bengaluru-based editor Gauri Lankesh was shot dead outside her home in the city on September 5, 2017. The Special Investigative Team has arrested several men who they believe were involved in the murder. And while there is hope for arrest of all the guilty - and closure in the legal sense, for those close to Ms Lankesh the sense of loss will continue. Her murder still occupies public space but the grief of those closest to her is private and intense. "It has been very difficult. There is a big void. There is an emptiness which I don't think anybody or anything can fill because just two days back my daughter started crying. She got emotional about something and said, 'I want Aauwa. Bring her back somehow.' 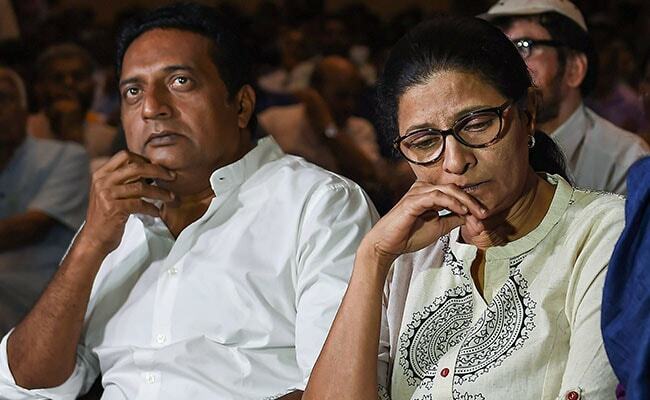 You know, my mom... every evening she really misses her and cries," her sister Kavitha told NDTV. There were protests on the streets of Bengaluru demanding a ban on groups believed by many to be responsible for her death. The investigation into the murder does appear to have made progress with several men arrested who allegedly had links with right-wing groups. Dr G Parameshwara, Karnataka Deputy Chief Minister and Home Minister said, "I cannot reveal anything as far as the case is concerned because investigation is still on." S Prakash, BJP spokesperson, said, "The alleged culprits in Gauri murder case have been arrested by SIT. Painting them right wing... is very unfortunate. When a bomb blast takes place, when a terror activity takes place, we are told not to brand them on communal lines. Similar line should be taken in Gauri murder case." The death anniversary also saw a Right to Speak Convention - a packed hall and passionate advocates of free speech.